Question: Is it possible for an officer to inaccurately report the results of a field sobriety test in Alabama? If so, how can a person defend him or herself against this? Answer: It’s very possible for an officer to inaccurately report the results of a field sobriety test. First, the officer reporting the results of the field sobriety test must know what the actual standardization, what the actual criteria are for the test. And one of the first things that we do in defending the results of a field sobriety test are to challenge the officer’s training in the administration of the test. Question: Can running a fever impair the results of a DUI breath or blood test in Alabama? Answer: Yes, running a fever could negatively impact a breath or blood test in a DUI investigation. Forensic blood and breath alcohol testing is premised upon certain assumptions; mainly in breath testing that your body temperature is 34 degrees centigrade. This is due to the assumptions needed in the blood breath exchange, or what we call Henry’s Law. Without correction, an elevated temperature could increase a forensic blood alcohol test. Question:Can the way a person blows into a breath test machine impact the results in Alabama? Answer: In Alabama, the breath testing machine that the police use is called the Draeger Alcotest 7110. It is a machine. It does what it is told by its software. For the machine to accept the breath sample, the client must provide at least 1.3 liters of air for a minimum blow time of four seconds. If these amounts are not met, the machine will not produce a result. Therefore, if a person does not blow hard enough or long enough, the machine will not produce a result, thereby setting up the potential for the officer to opine that the person refused. However, even though the machine won’t produce a result at the station, the Draeger Alcotest 7110 does capture all of the different data points of the test and store that at a mainframe computer at the Department of Forensic Sciences. We then have the ability under what’s called a Data Pack request to harvest that information and show that the person was actually attempting to take the test, and sometimes can even produce a number or result and show that it was not a refusal. 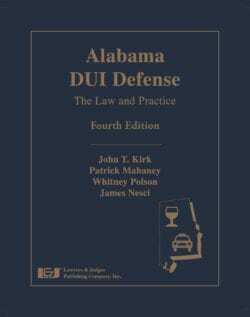 Question: What are some potential defenses for failing the roadside breath test in Alabama? Answer: First and foremost, any roadside breath test administered in Alabama is not admissible against you in court; however, police officers will still use the results of these tests to develop what’s called probable cause to arrest you. Potential errors or potential problems with this test are that the devices do not have any type of mouth alcohol or what we call a slope detector, meaning that there are many, many false positives on these devices. Interference, mouth alcohol issues, medical conditions such as GERD or heartburn can all create false positives on this test. As well, for the device to be even remotely accurate, the instructions say that there must be a minimum of a 20-minute deprivation period. Very, very rarely on the roadside does an officer wait 20 minutes before administering this test. Therefore, it does give us very fertile ground to defend the case and challenge the probable cause if the officer relies upon such a flawed device in making his arrest decision. Question:What are some possible defenses for failing the walk-and-turn test in Alabama? Answer: The walk-and-turn test is a standardized field sobriety test promulgated by NHTSA. The standardization and validation required for the test to be accurate must be instructed and evaluated in a very specific manner. There are eight clues on the walk-and-turn test: the person can’t balance during the instruction stage; the person starts too soon; the person stops walking; they don’t touch heel-to-toe; they step off of the line; they use their arms for balance; an incorrect turn is performed; or the wrong number of steps are taken. Two or more clues are required for the likelihood of a .08 or greater blood alcohol result; however, even when the test is administered and critiqued in an accurate way, the standardization says it’s only a 68% accurate test. Possible defenses to this test are: the way this test is instructed; the way it’s interpreted; the location and condition of where the test is administered; or the physical condition of the client. Many times we find that the officer does not provide a designated line for the person to walk on, leaving fertile ground for us to defend the case and the admissibility of this test. 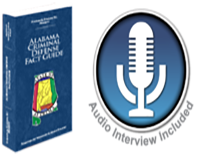 Question: What are some possible defenses for a failed one-leg stand field sobriety test in Alabama? Answer: The one-leg stand is a standardized field sobriety test promulgated by NHTSA, the National Highway Traffic Safety Administration. The standardization and validation required for the test to be accurate be instructed and be evaluated in a particular manner. There are only four clues that the training says the officer can use against someone: the person swaying while balancing; using their arms for balance; hopping; placing the foot down before the count of 30. One clue may only be counted once, and a count of 30 seconds is the standard the person is trying to achieve. Standardization says that two clues or more creates the probability the person’s blood alcohol level being .08 or greater. Even when this test is given correctly, the standardization says that it’s only 65% reliable. The way that the test is instructed, the way that it’s interpreted, the location and condition of where the test is administered, and the physical condition of the client could all be fertile ground to defend the case and try to suppress the result of this test. Question: Is it better to take the breath test and blow over the legal limit or to refuse the breath test in Alabama? Answer: There’s really no right or wrong answer in terms of taking the breath test; however, if someone refuses the test, it does place the burden on the government to establish their level of impairment through other indicators as well. It creates the argument that if the government did not seek a blood or urine test via a search warrant, that they did not include a complete evaluation in the investigation of the case. However, if someone does take the breath test and registers over the legal limit, there are various defenses we may use to contest that result and try and suppress that from evidence as well. If you do submit to the government’s test, you have an absolute right to request an independent test of your blood alcohol content, and if the government fails to provide you with that test, it would be a basis to exclude their test from evidence against you.